The world’s first automat, a restaurant where food and drink were served by vending machines was first introduced in Berlin in 1985. The concept of getting food from a vending machine enjoyed a good 80 years or so, until it was eclipsed by fast food chains, like Subway, which had a greater flexibility of food selection and payment options. However, as if in a revenge plot of sorts, an automat has surfaced in the United States, which aims to disrupt the Fast-food market by combining the flexibility of a counter-preparation model and modern day automation technologies to deliver food faster and cheaper. 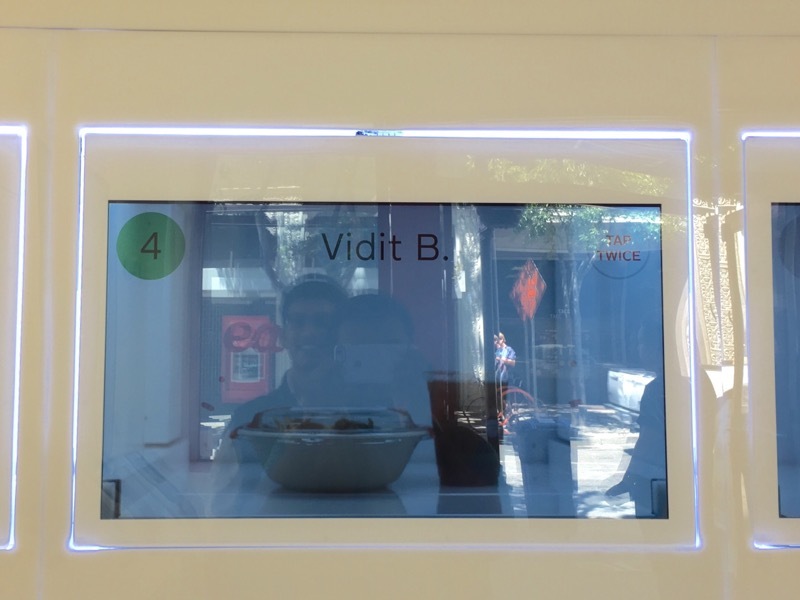 The experience is as though you were being served food by robots. As you walk into an Eatsa, you’ll find yourself in a room with an array of iPads lined up to take your order And a grid of cubby-holes which‘ll host the food you order. It’s a futuristic experience, in the sense that there’s minimal human interaction involved. You’re expected to interact with the iPad, place your order and get your meal, all in a couple of minutes. You’re aren’t even supposed to know that there are humans preparing the food behind the cubby holes. Much like how Elves prepared the great feast in the kitchen below the large dining tables of the great hall in the Harry Potter series, and you wouldn’t know they were the ones toiling away in the dungeons unless you were Hermione. 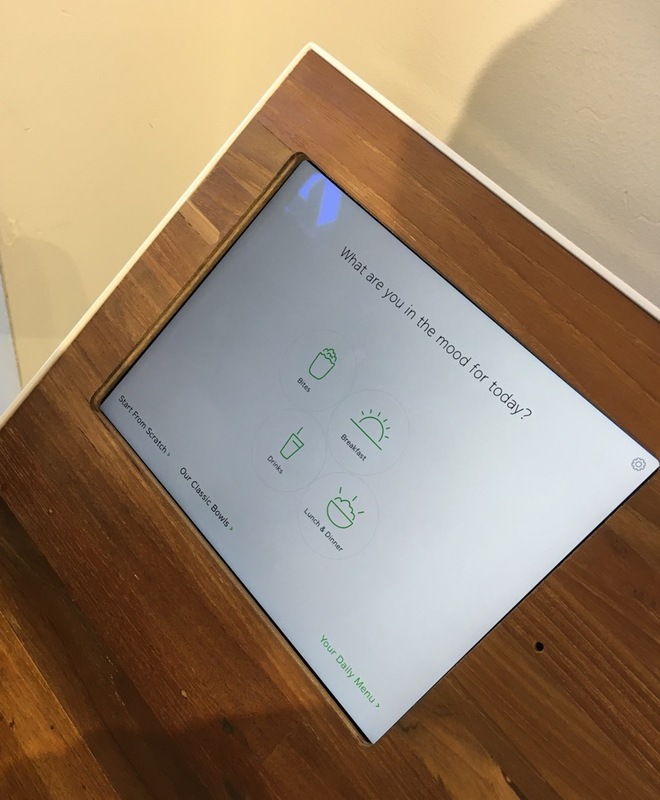 It’s the quickness of the service and the ease of placing an order that really transforms Eatsa’s experience and Eatsa’s proprietary automation tech is to be credited for it. Food ordering was a relatively simple process. You just need to sign up for Eatsa, pickup your nearest restaurant and begin preparing your meal, either either by selecting a preset food or by “Starting from scratch” and selecting your own ingredients. I really liked the customisation options here. 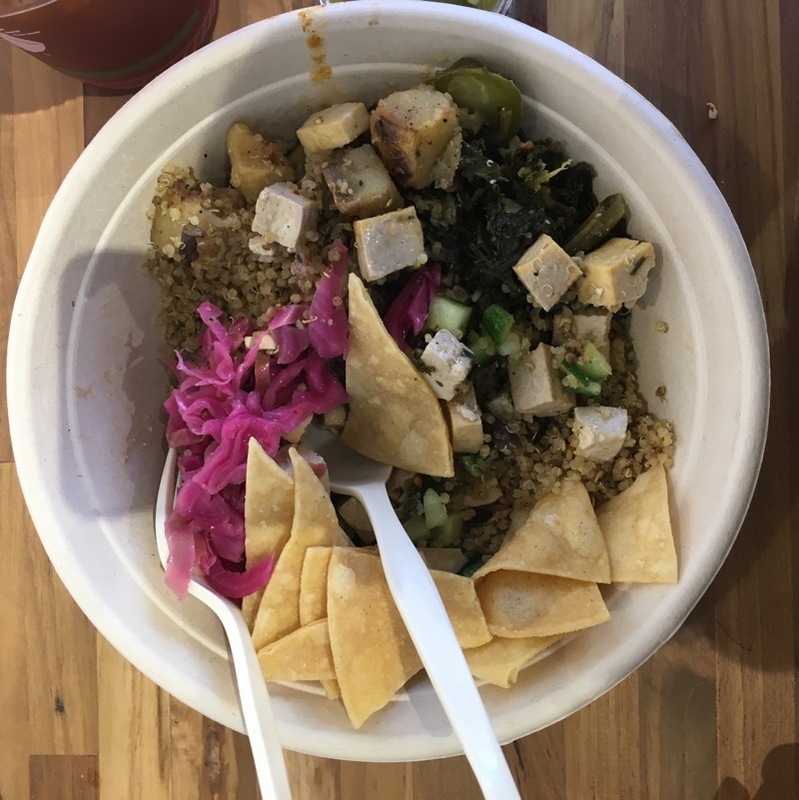 You can select whatever base you want, and while quinoa is pretty much the central attraction, you can even pick stuff like “Channa Masala” or “Pinto Beans” and then of course there’s an assortment of sauces and crunchies to pick from. Eatsa’s offerings are vegetarian (with the exception of eggs, which appear to have a vegetarian status in US) and in general focus on a healthy diet and given that Eatsa’s target audience is primarily office-goers or students in need of a quick lunch, these options seem specially lucrative. Moreover, Eatsa’s app is intelligent enough to inform about potential allergens and offers filters to remove items which may contain them. This is especially handy for some one like me, who’d otherwise have to check with the staff and rely on their word for such information. I also liked the attention to detail and the polished user interface of the app. The interactions were fluid, information clearly presented and the experience reliable, whether you’re using a kiosk or an app on your iPhone. It feels like a premium experience, at a cost that’s even cheaper than your local McDonald’s or Subway. Once the order is placed from the app, and the food ready, your name appears to on one of the cubby-holes, which you can then double tap to unlock and get your food. While the food is still being made by humans, there’s a good deal of automation going in the background to get the food ready in a very short span of time. Usually the waiting time for something like this would be 5-6 minutes. But Eatsa’s service is a lot quicker than that. If you were placing your order at home / office and going to a store for pickup, you wouldn’t really have to wait for it to get ready. You can just walk-over to your cubby hole, pickup your food and get working. That’s why I feel the experience is futuristic, it eliminates a lot of traditional concepts that’ll be in such a restaurant, and ultimately offers food at a very affordable cost. 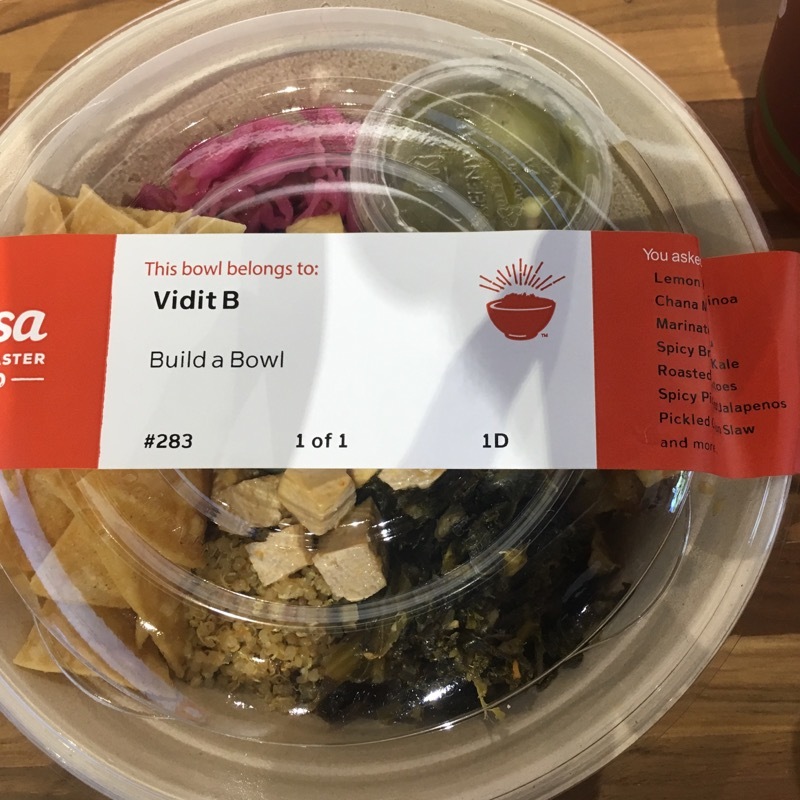 The experience is friction less, extremely convenient and even somewhat /delightful if you are watching this happen for the first time, these factors should really help Eatsa get a foothold in the Fast-food space quickly. The food being served is no gourmet fine-dining replacement. It’s just a quick and healthy bowl filled with items you’d like to have. It’s more in the range of a chipotle or subway than your local fine-dining eatery, and for that it’s pretty tasty. It certainly feels like a very wholesome meal. I especially liked the texture of the roasted potatoes and tofu. They were all well cooked and blended well with the rest of the ingredients. If I were to eliminate the fact that I was visiting a restaurant that felt straight out of a Jetsons episode, I’d still want to visit the place again, since it provided a pretty delicious lunch. But here’s the thing, Eatsa doesn’t have a lot of outlets right now. There are a couple of them in San Francisco, one near UC Berkeley, and a couple of them in New York and Washington DC. 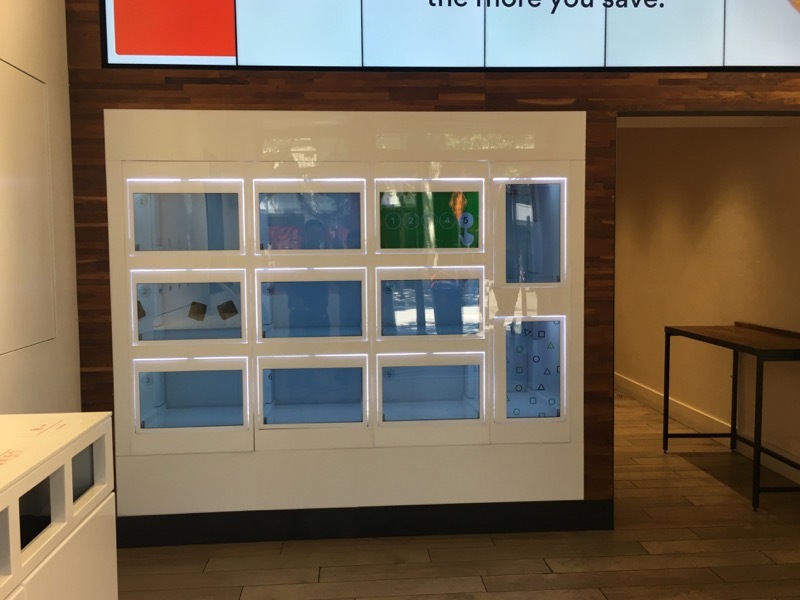 Eatsa’s only two years old right now, but it’ll need to be in a lot more places very soon to be able truly unleash the second coming of Automats.